The 2014 season presented the ideal profile for the production of intensely aromatic and concentrated wines for both whites and reds. The dry and warm Spring favored blossoming, and exceptional levels of heat during summer time provided for an even ripening. Finally, the beautiful late season gave us time to pick the grapes at will, when they had reached our optimum standards of maturity. 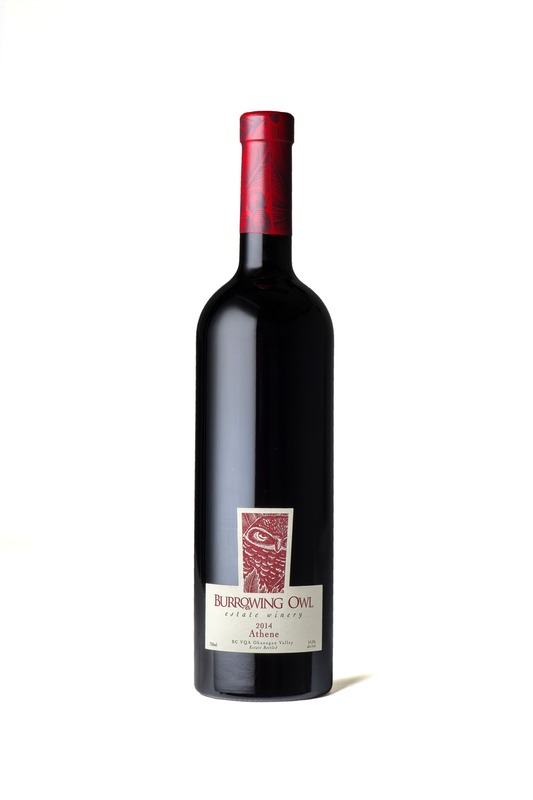 The Syrah and Cabernet Sauvignon grapes were harvested by hand from Burrowing Owl’s block A8 on Black Sage Bench on November 4th 2014. They were de-stemmed and gently crushed before being gravity fed into the same tank. This co-fermentation process helped to marry the flavours and created a unique harmony to the blend according to Aristotle’s principle that “the whole is greater than the sum of its part”. After completion, the wine was transferred into barrels for the malolactic fermentation. It was aged for 18 months into barrels that were carefully selected for their ability to integrate components, and round out the tannins while contributing to complex savoury notes. The wine was bottled unfiltered and left to mature in bottle until its release.